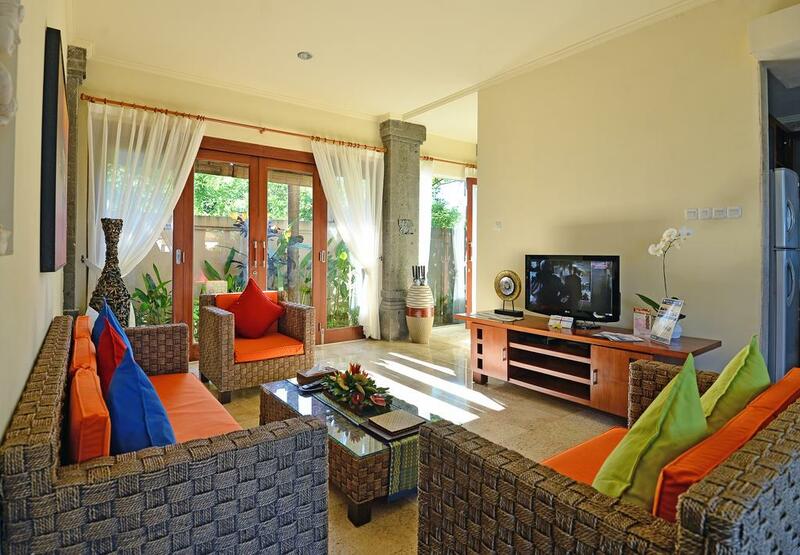 This 3-bedroom private villa is located 25 minutes only from Ngurah Rai International Airport. 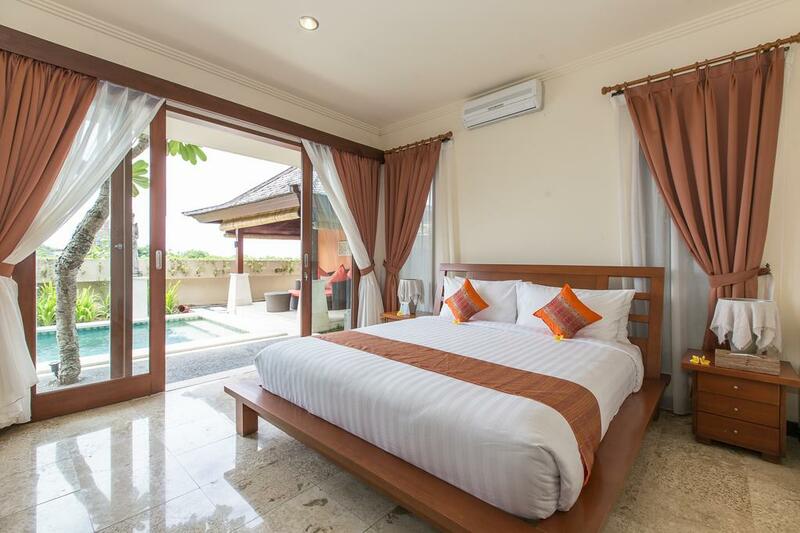 On the highest point of Ungasan Jimbaran, you will enjoy calm and tranquility in this peaceful villa hidden away in a quiet area. A beautiful secluded beach is just a 5 minutes drive away, where you can admire the ocean view surrounded by impressive cliffs. 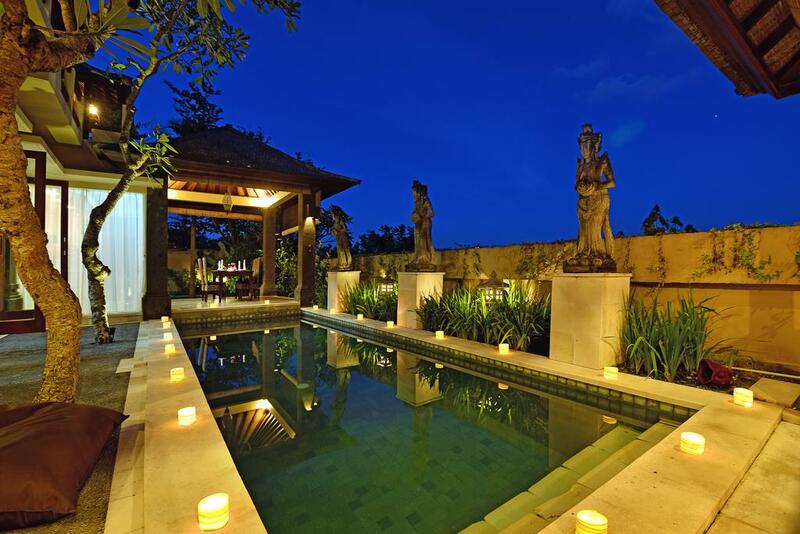 From the moment you enter the villa, its Balinese atmosphere with a typical Indonesian carved door and traditional statues will carry you away. On the first floor, there is a living room with wicker furniture and a fully equipped kitchen with an American bar to enjoy a drink with your friends. 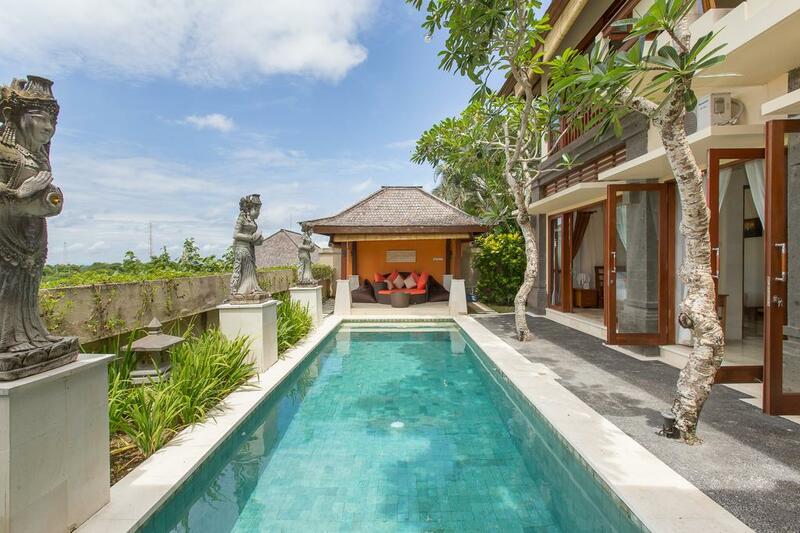 Sliding doors lead to an outside dining table, overlooking a tropical garden as well as a lovely swimming pool overhung by 3 Balinese statues. At the end of the pool, relax in the sofa lounge in the shaded gazebo. Still downstairs, the first bedroom has a large double size bed and a spacious outside en-suite bathroom, fitted with a stunning decorated marble bathtub and shower offering a unique and natural bathing experience in the middle of lush and tropical vegetation. 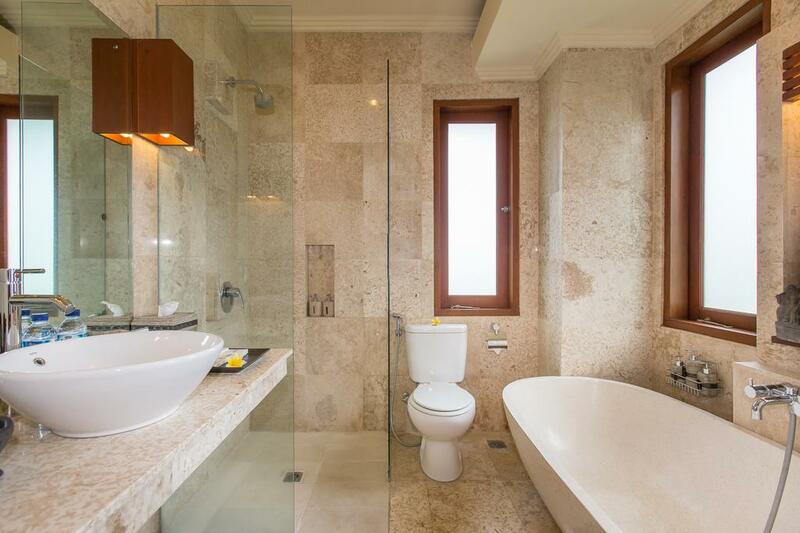 The second floor has two similar bedrooms with king-size beds and private en-suite bathrooms for more comfort and privacy. 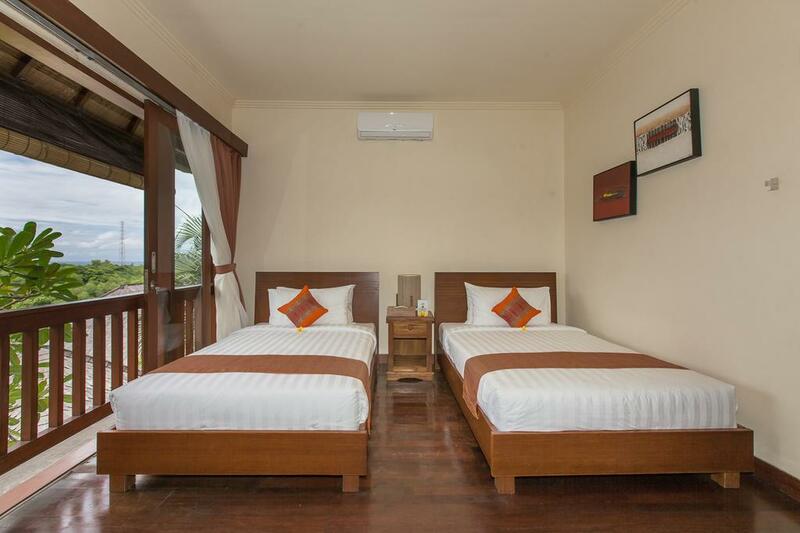 All bedrooms are also equipped with storage and air conditioning. 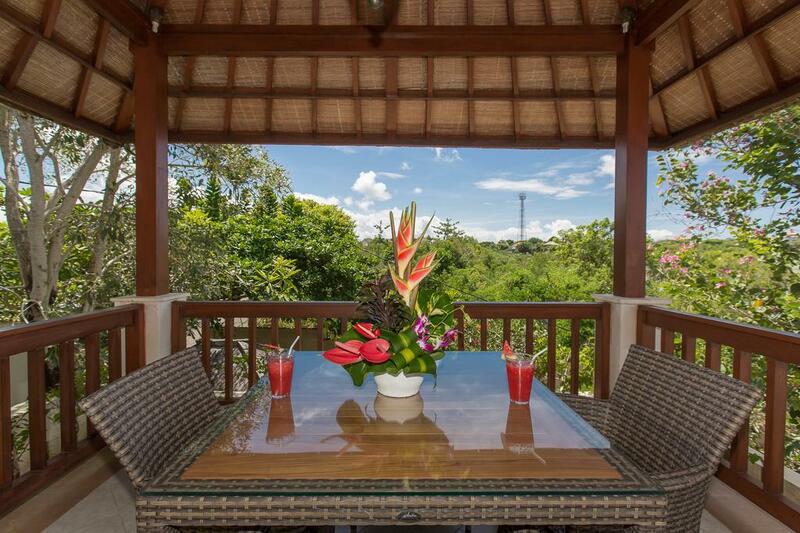 A little balcony leads to another gazebo where you can relax enjoying the breeze and the partial ocean view. 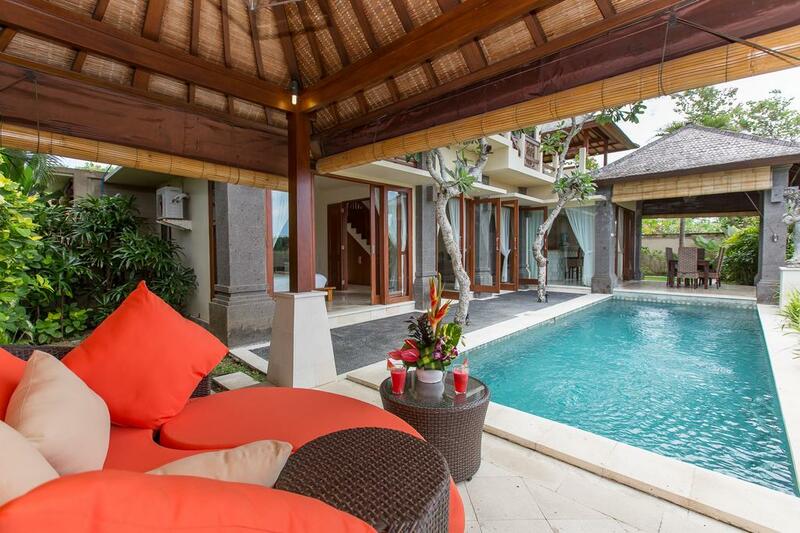 This serene villa is suitable for families and friends gathering. 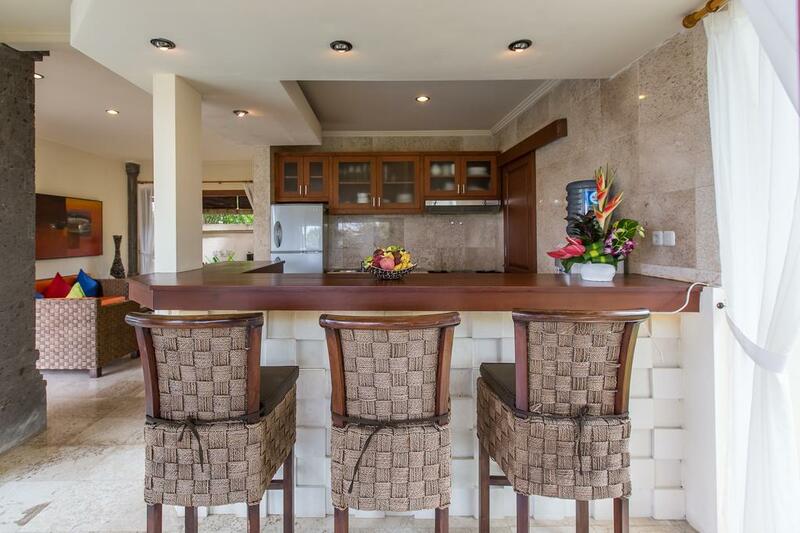 The in-house cook will surely spoil you and your travel companions with Balinese cuisine and BBQ. Our in-house manager will be more than happy to arrange a private cooking session if you wish to. 27 square meters pool (9 x 3).